Dr. Iglesias is a loving and caring mother of two boys and a wife. When she is not home or traveling enjoying time with her family, she is in office providing top quality care for her patients here at Tymes Square Dental. Her passion for dentistry and desire to help people of all ages has helped her plant her self into the hearts of many. She graduated in New York University in the school of dentistry in 2004 and she obtained her certificate of cosmetic dentistry also in New York University in 2005. 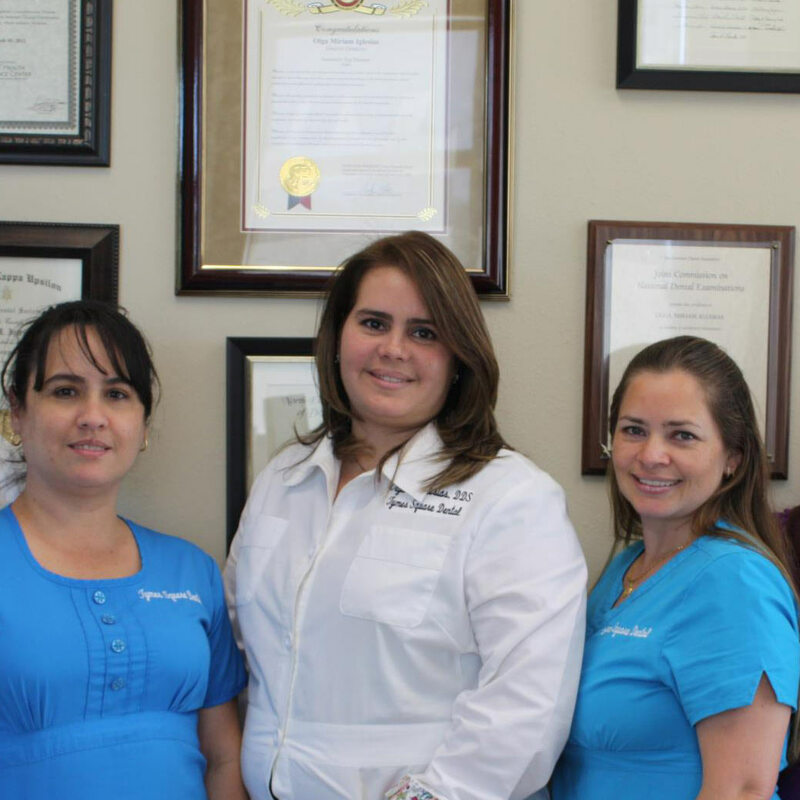 Dr. Iglesias provided general dentistry in her New York office in Manhattan until her husband was offered a position here in Texas, allowing her to open her office here in Benders landing in 2012. Our local practice has provided patients of all ages with exceptional dental care in various disciplines including cosmetic, family, and restorative dentistry. Our team understands that the foundation of any positive doctor-patient relationship is trust. As your dedicated dental team, we value our patients’ trust.